Our gears shifted this month from our summer routine of daily nature history and wildlife watching tours and whitewater of the sea adventures to sea kayak instruction. 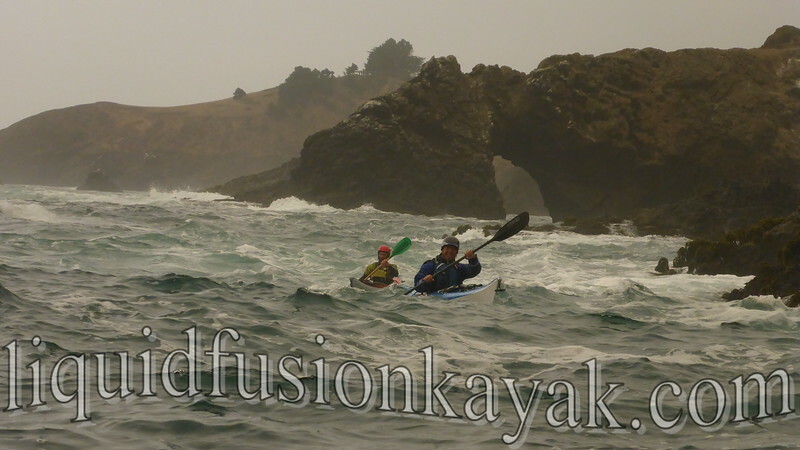 Sea Kayak Instruction in the rock gardens of the Mendocino Coast of California. 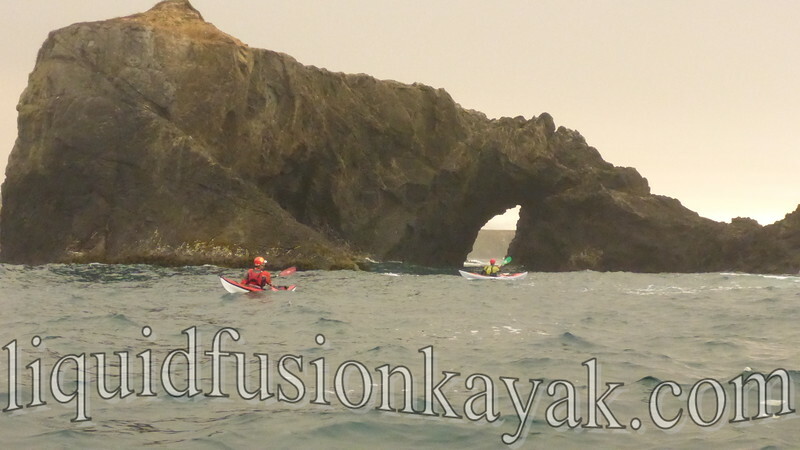 We kicked the month off with our 5 day Art of Sea Kayaking Mendocino Training. The students who completed this training raved about the instruction and experience. We were stoked to see their skills increase exponentially. 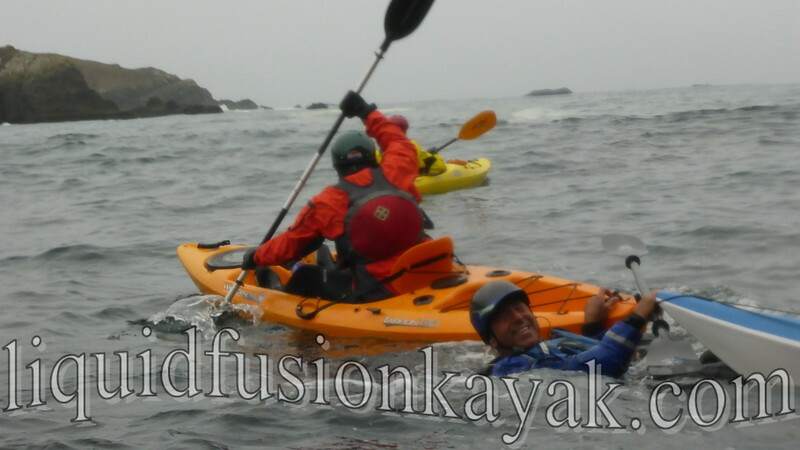 Liquid Fusion Kayaking's 5 day Art of Sea Kayaking Mendocino gets 2 Thumbs UP! After the 5 day training, we managed to get away for a couple of days. We were invited again to join the Tsunami Rangers for their annual retreat. This year was their 30th annual retreat. During this year's retreat, Jeff took his test to become a Tsunami Ranger. Jeff is now a lieutenant in the Tsunami Rangers. Here's a video of the Tsunami Ranger's 30th Annual Retreat. 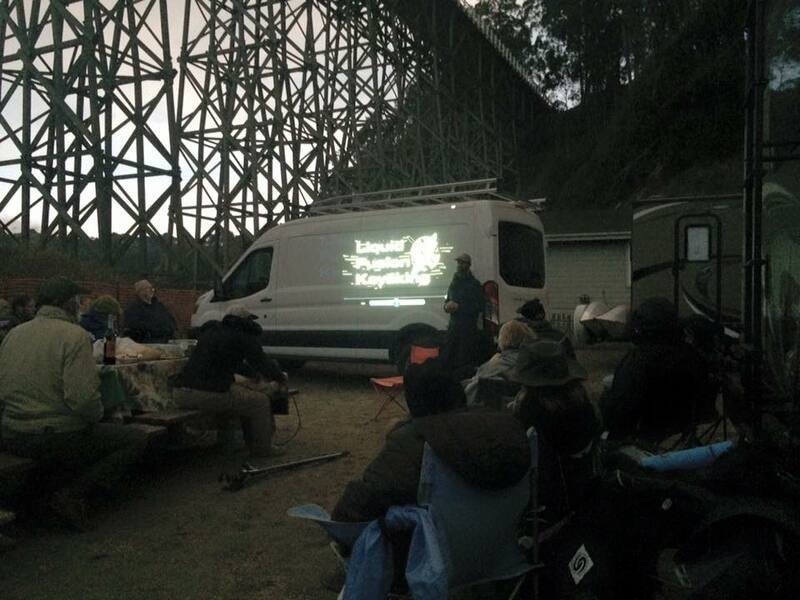 We left the Tsunami Ranger retreat a day early so that we could teach and present at the Headwaters Albion Bash. Just before we departed, our Tsunami tribe gathered to wish us off. Captain Kakuk issued the official invite for me to take my Tsunami Ranger test at next year's retreat. I feel incredibly honored by their invitation and look forward to many more adventures with the Tsunami Rangers. 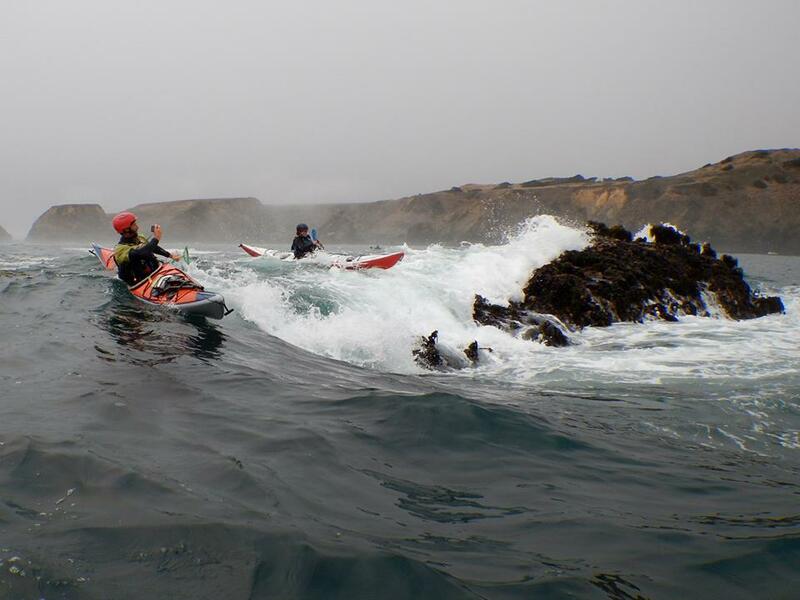 Colorful boats and colorful characters of the Tsunami Rangers kayaking in the rock gardens of the Mendocino Coast. So we left a little later than planned from our hidden beach on the Mendocino Coast and paddled at a steady pace to get to Albion for a 1pm class. We paddled in at 12:20 and saw a couple of our students gathering for our class. One commented that he thought it would be really neat if the instructors paddled up rather than drove up to the launch location. Hmmmm - we may have to do this again. The Headwaters Kayak Shop in Lodi is run by Dan Arbuckle and The Headwaters Adventure Company in Redding is run by his parents Joe and Terri Arbuckle. Each year they put together several kayaking retreats for their local kayak clubs and invite other kayakers to come as well. The weekend after Labor Day has become a traditional weekend for them to come to the Mendocino Coast. The Albion River Campground is a great venue as it provides camping and access to the beautiful Albion River Estuary and the Pacific Ocean. Sterling Donaldson of Sterling Kayaks often attends and brings demo kayaks with him. This year he brought the new Progression. Sterling Kayaks Reflection and Progression. We unloaded the camping gear out of our kayaks and rallied up our students for our Rock Garden Safety and Rescue Class. This was a fun class as we had folks who had never had rock garden training before and some who have had quite a bit. We had our experienced students building on their skills as we taught the basics. It was great to have a variety of kayaks in the class as well - sea kayaks, long whitewater kayaks, and a sit on top kayak. The principles of safety are the same regardless of the kayak and it was fun for everyone to learn the nuances of capsize recovery with the different kayaks. Rock Garden Safety and Rescue Class on the Mendocino Coast. Saturday evening, we did a presentation. We have gotten in the habit of showing rather than telling folks what we do. We didn't have a screen so a huge thanks to our friend Mark Boyd for keeping his van spotless for the LFK show. 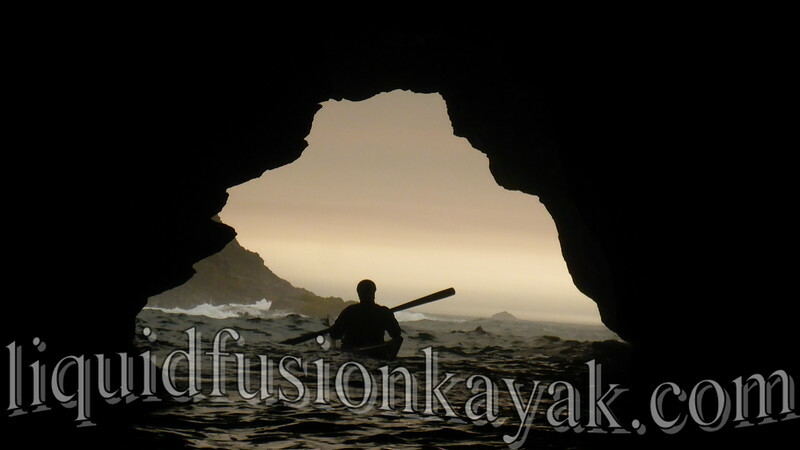 Here's a video that we showed that we created to represent Liquid Fusion Kayaking. On Sunday, we guided a sea kayak rock garden tour. We had great conditions. There was enough swell and bumpy waters to challenge everyone's comfort; however, the swell was mild enough for us to explore some beautiful sea caves. Jeff and I got to paddle the Sterling Kayaks Progression. 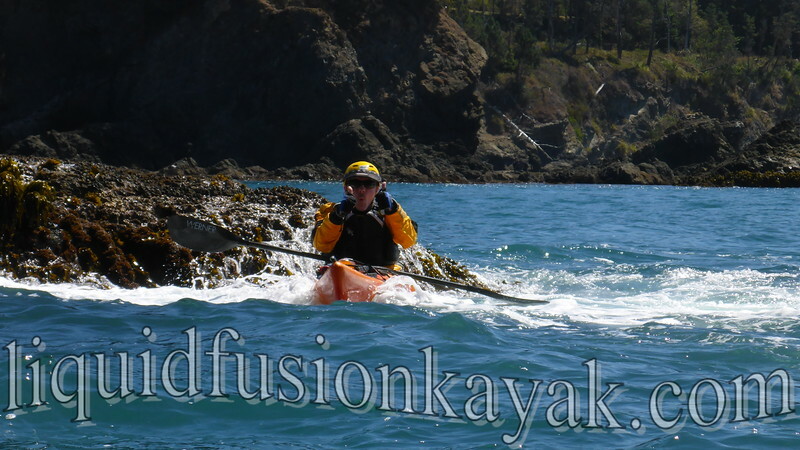 We had fun testing the Progression as a platform for rough water paddling, rock gardening, and guiding. Many special moments happened during Sunday's tour. As I assisted Jeff, I took time to watch our students faces as they went through challenging moments but also moments of pure bliss. Several members of our trip have physical challenges and this tour was a monumental experience for them. Sea kayaking in dynamic waters along the Mendocino Coast. After the tour, I was feeling quite complete. 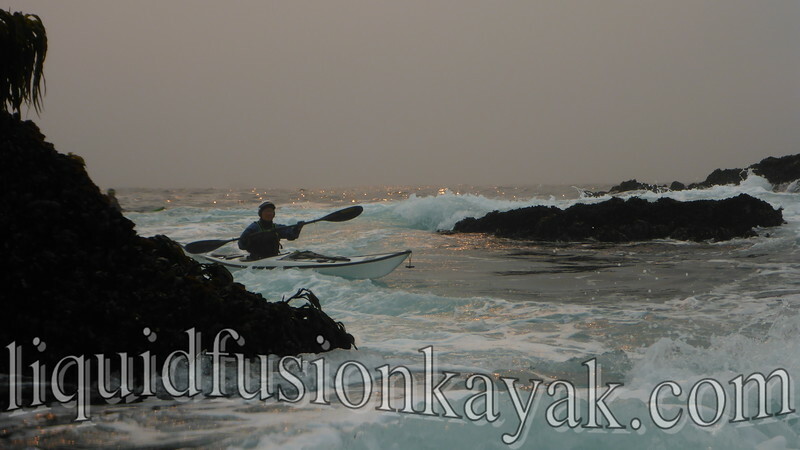 The past 10 days were packed with what Jeff and I enjoy about kayaking and why we run Liquid Fusion Kayaking. However, the weekend wasn't over yet. After lunch, we joined up with Dan Arbuckle and a couple of other paddling friends for some rock garden play. We took out the Progressions. They ROCK in the rock gardens of the Mendocino Coast! It was a magical afternoon full of smiles and fun rides and a great completion to our fall shifting of gears into performance sea kayaking instruction and play. Marcella enjoying an afternoon on the water in her Sterling Illusion. Great video! I need to get down to CA for an outing with you! See you at Lumpy. Lovely photos! It looks like you guys had a pretty fun day! What a gorgeous place to kayak!